If there’s ANYTHING about social media marketing that drives me absolutely insane, it’s seeing people auto-post across their social media platforms. ARRRRGH! It’s such a bad idea, for many reasons! When you automate cross-posting between your accounts, you’re not giving your followers any reason to follow you everywhere! Why would someone follow you on Instagram if they are already seeing your posts on Facebook? You want to post fresh content on all your different channels to keep your followers entertained and interested. Plus, Facebook and Instagram are very different platforms. You may have different types of audiences! Maybe your Instagram following is mostly industry peers, but your clients follow you on Facebook. You’re going to want to show these two different types of content. Finally there’s the issue of the algorithm. 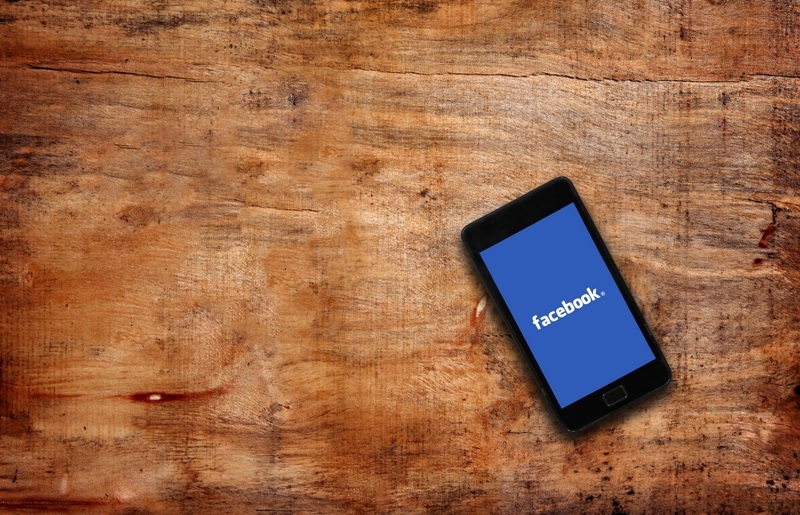 Yes, Facebook owns Instagram, BUT, Facebook favors fresh, original content. 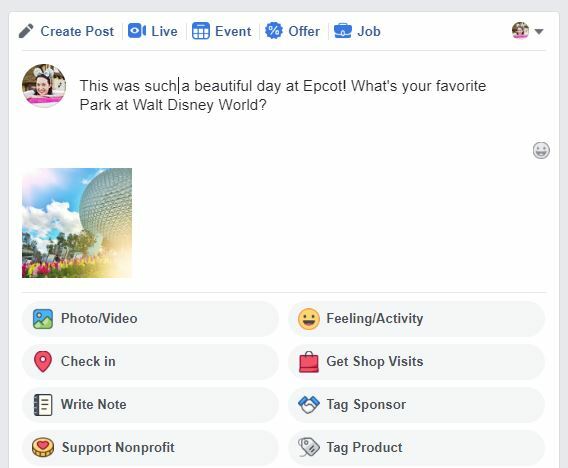 So those auto-posts you’re sending to your Facebook Page? Facebook is going to limit their reach. Now, that’s not to say you can’t utilize that amazing Instagram photo for Facebook, because you totally can! Your caption just has to be different. 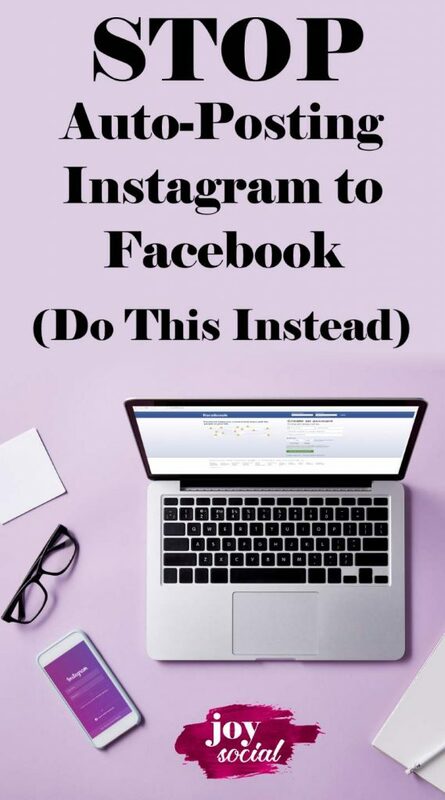 Luckily, Facebook and Instagram have given us a tool to make this VERY easy! I’m going to teach you how to set it up, and also give you an example of how I recently used this to great results. First, you’ll need to make sure your Instagram account and your Facebook Page (business page, not personal profile) are connected. If you are already set up for auto-posting, then you can probably skip this step. 1) Open the Instagram app and go to your settings (the gear icon on your profile). 2) Scroll down to “Linked Accounts” and tap. 3) Click on “Facebook” and follow the instructions to link your Facebook Page. Make sure “Share Your Posts to Facebook” is NOT selected. 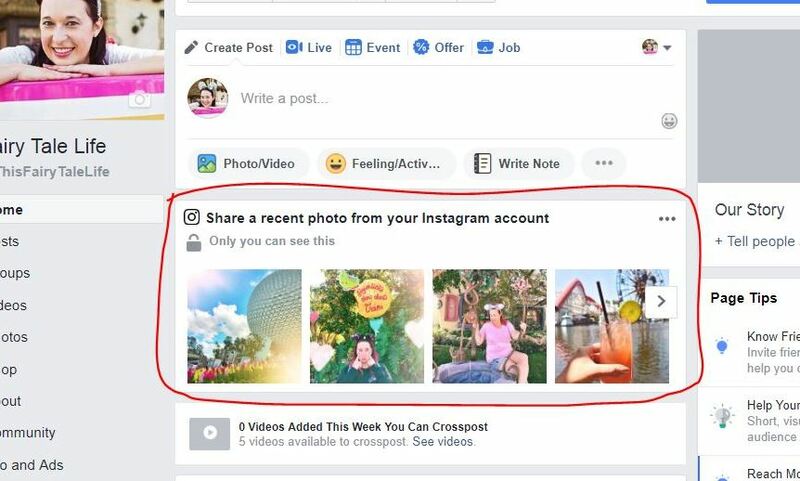 Once your accounts are linked, you’ll see your Instagram photos will start showing up on your Facebook Page on your desktop. But only YOU can see them! So easy! What I generally do is share an Instagram photo that’s a couple days old … or a couple months old! Chances are my Facebook followers didn’t see the same picture on Instagram, but even if they did, I’ll post it with a different comment so it will be a unique post! Real quick, I want to share a success story that happened when using this method. 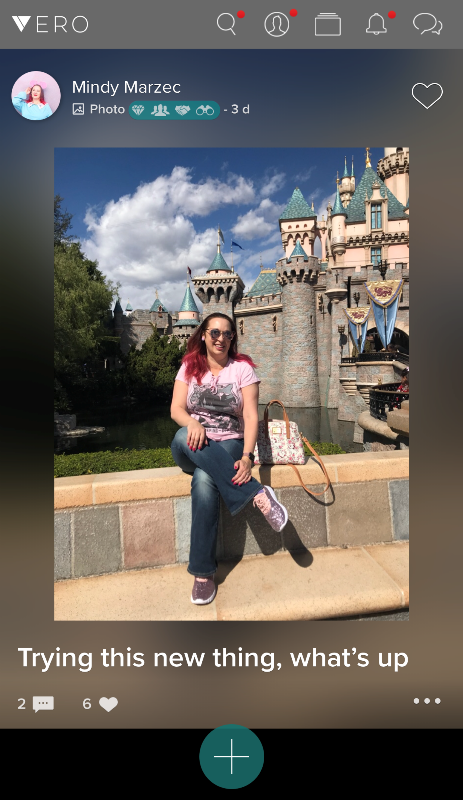 A few days ago I posted this photo taken of me during a very hot summer day at Disneyland to Instagram with the caption: “I’m wishing …. I’m wishing … for less heat and humidity, please and thank you.” It did pretty well on Instagram! The next day, I used this method to share the same photo on Facebook, but with a much different caption. I like to keep things happy and light on my Instagram because a lot of people follow me for my happy Disneyland photos. But on Facebook, I have a smaller, more intimate following and I can be a little more real. So I posted this photo with a caption expressing I was feeling self-conscious of my tummy and my weight, and spoke a little bit about body image and how hard women are on ourselves. I wasn’t expecting it but this Facebook post BLEW UP. I had tons of comments from women saying they related to my post. In fact, I had such a good response that I turned the whole conversation into a blog post. 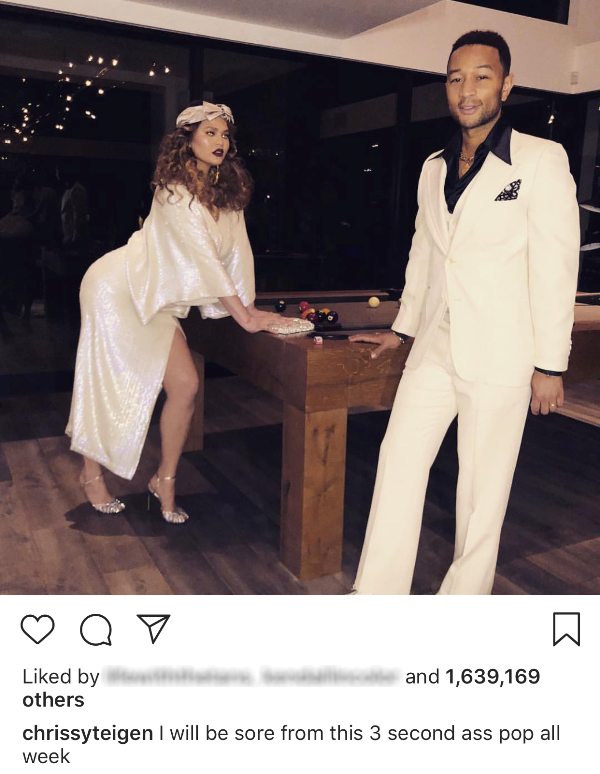 If I had swapped those captions, and posted the “happy” one to Facebook and the more serious caption on Instagram, I would not have had the same engagement. Because I have different types of audiences on each platform. I highly, highly recommend turning off your auto-posting and using this method instead. It takes just a couple minutes to pull up your Facebook Page and share one of your Instagram photos with a fresh new caption. The results will be worth it! 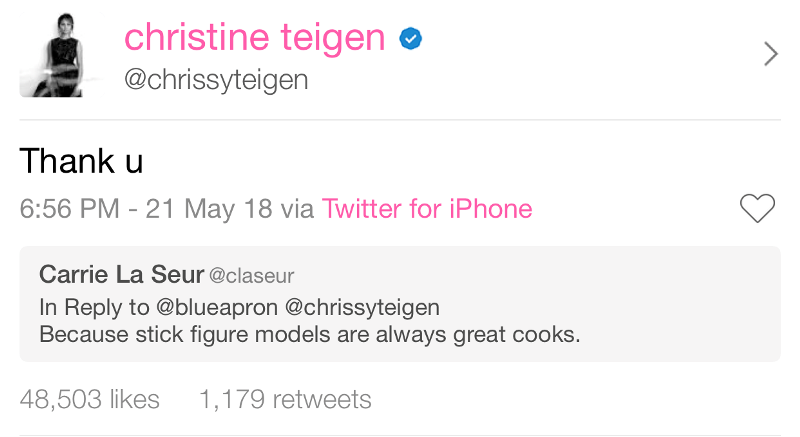 You have probably heard of Chrissy Teigen. Supermodel, actress, author, one half of a celebrity power couple. But you may not know she completely slays the social media game. 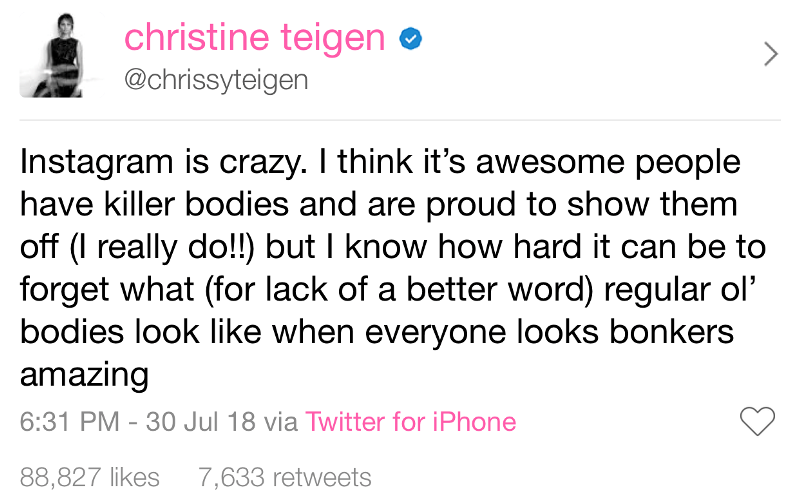 Chrissy has built up a legion of fans and followers – over 10 million on Twitter and nearly 20 million on Instagram – simply by sharing her life and being herself. Sure, part of that large follower count is the fun of us regular ole folks getting a glimpse into the life of a celebrity. But the reason why people stick is around is because Chrissy is the real deal. She’s a real person. She doesn’t just share the photoshopped magazine images (although she shares those, too). She makes funny faces, she shares silly videos of her kids, her house is messy sometimes. Her photos aren’t all perfectly lit and styled. She’s relatable. Perhaps not on the “supermodel celebrity” level, but on the human level. And, oh man, she is FUNNY. 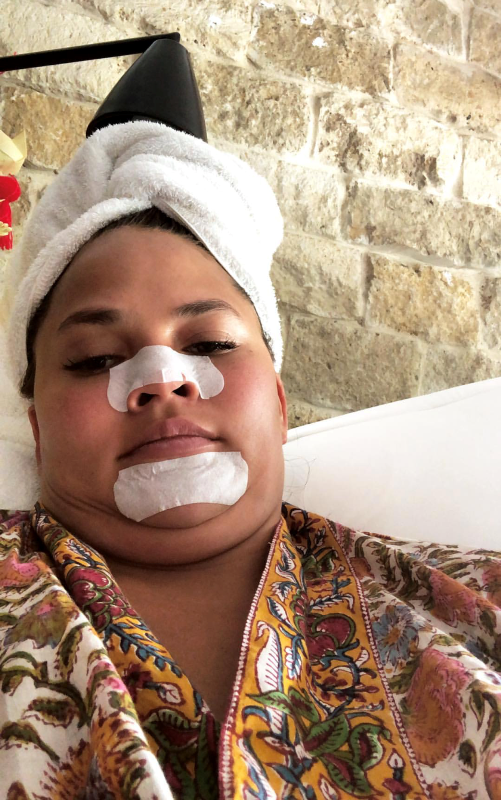 I love watching her Instagram Stories because I know I’m going to laugh. 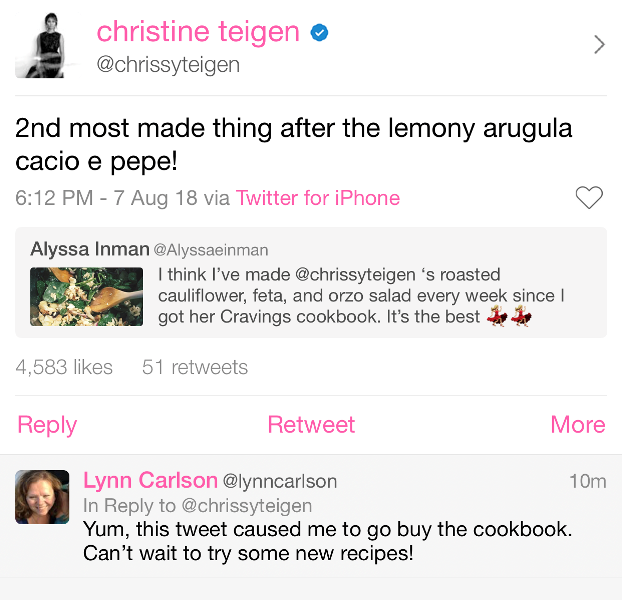 The truth is, we can’t all be witty model author celebrities (sorry everyone), but we can learn a lot from how Chrissy handles her social media. Here are 5 things I love about her accounts. 1. She’s authentic. I’ve always thought authenticity is the most important part of social media. People want to make a connection with you and feel like they are friends with you. 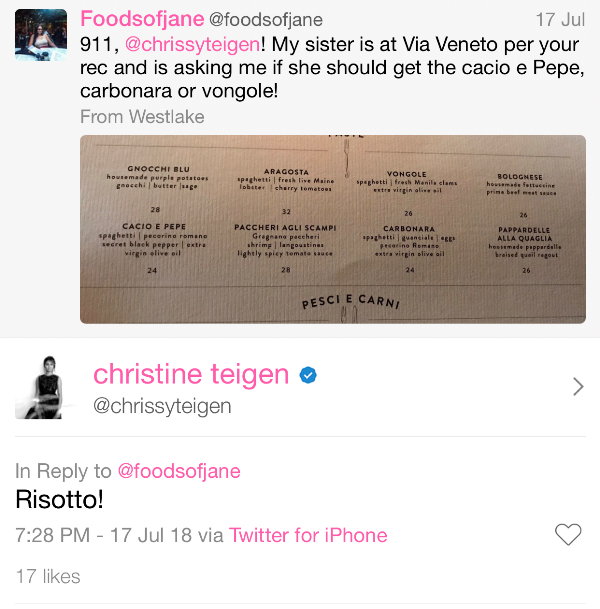 Chrissy does this so well. She always tells it like it is and that’s why people love her so much. 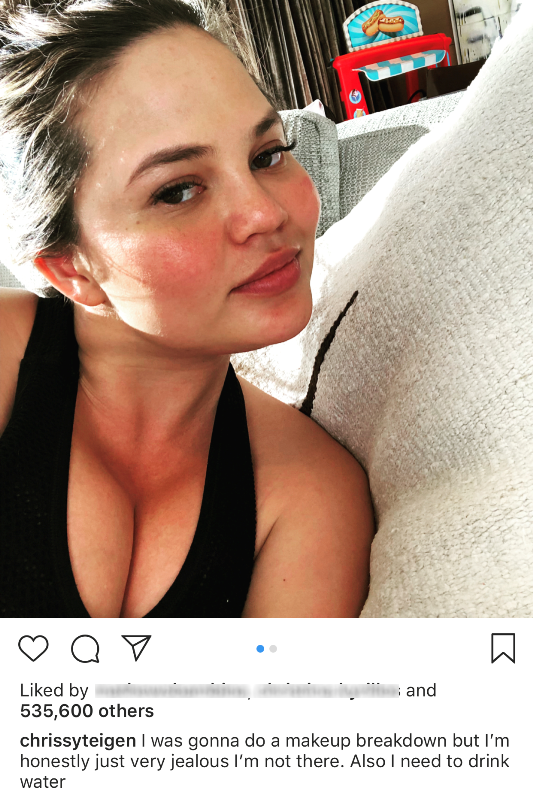 On her Instagram Stories you will often find some no-makeup selfies. After she had her second baby she posted some videos of her “mom bod” to show that supermodels get stretch marks, too. She basically says what we’re all thinking. 2. She responds to her followers. Your engagement is just as important as your content. Chrissy has authored two cookbooks and loves to chat about food with her followers. She is known to give restaurant recommendations and answer questions about her recipes. She can’t possibly respond to every single person who mentions her, but I love that she personally responds to fan questions. On the flip side, she also isn’t shy about talking to her haters. 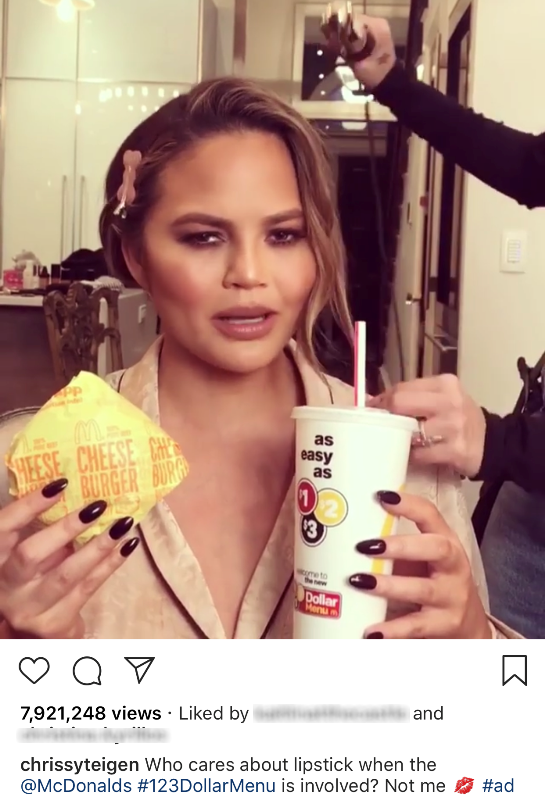 No one can clap back like Chrissy (well, perhaps the Wendy’s Twitter account comes close). If Chrissy RTs a hateful comment from you … you’re about to have a very bad day. Never underestimate the power of a loyal following. 3. She stands up for her beliefs. Chrissy doesn’t back down when it comes to politics or social injustices. This is something I really admire about her, but it helps we generally agree on these issues. I’ve written before about sharing hot button opinions on your social media, and I believe it’s a personal choice to make. However, it does have consequences. Discussing polarizing issues such as politics or religion may lose you some followers or clients. Some people are okay with this, but others feel they don’t want to risk it. The choice is ultimately up to you. 4. She discloses! A celebrity disclosing a paid ad? Be still my heart! Yes, it’s the law but many, many, many influencers don’t follow it. 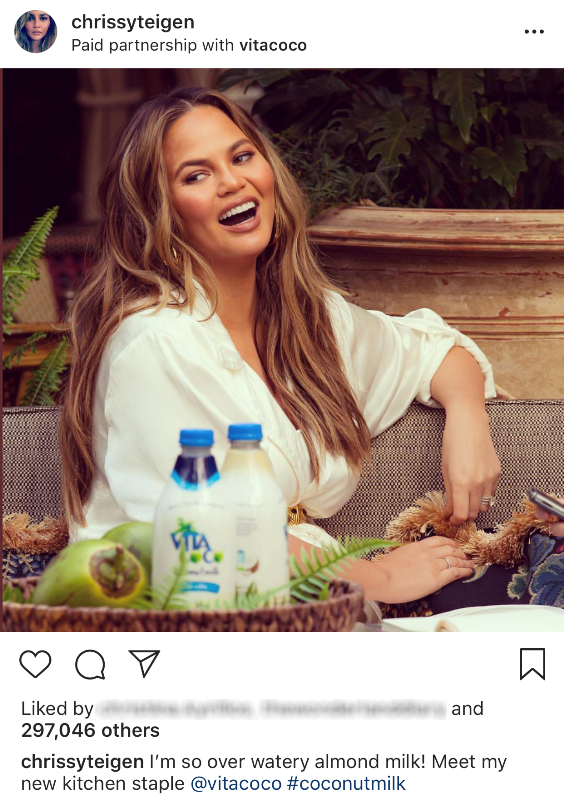 Chrissy is doing social promotions right. It’s a beautiful thing. 5. She doesn’t take herself too seriously. Perhaps the most important lesson of all. Recently she posted an Instagram Story with Biore pore strips on her face. What woman can’t relate to that? 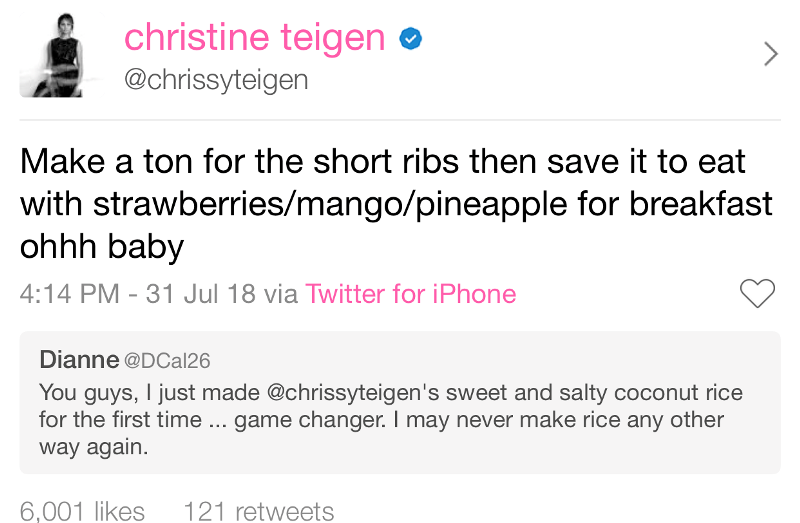 Social media is supposed to be fun, and I love that Chrissy has fun with it. 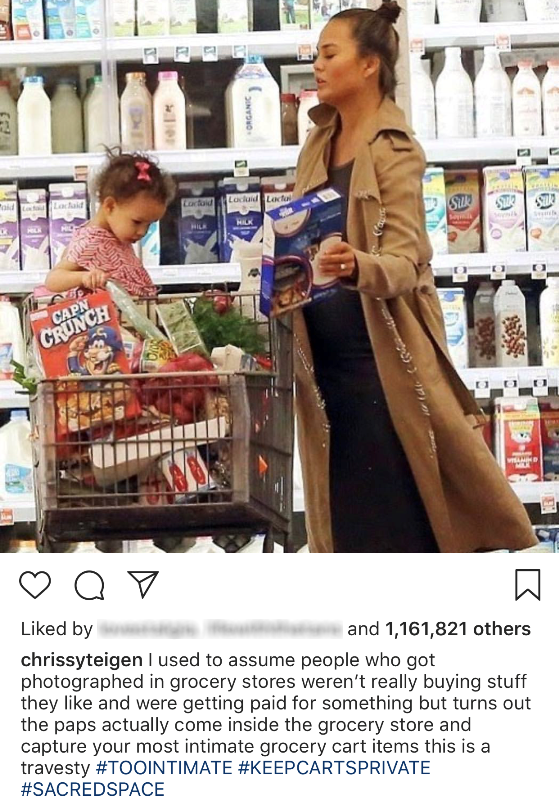 Chrissy is a great example of how simply being your authentic self on social media will make people fall in love with you. 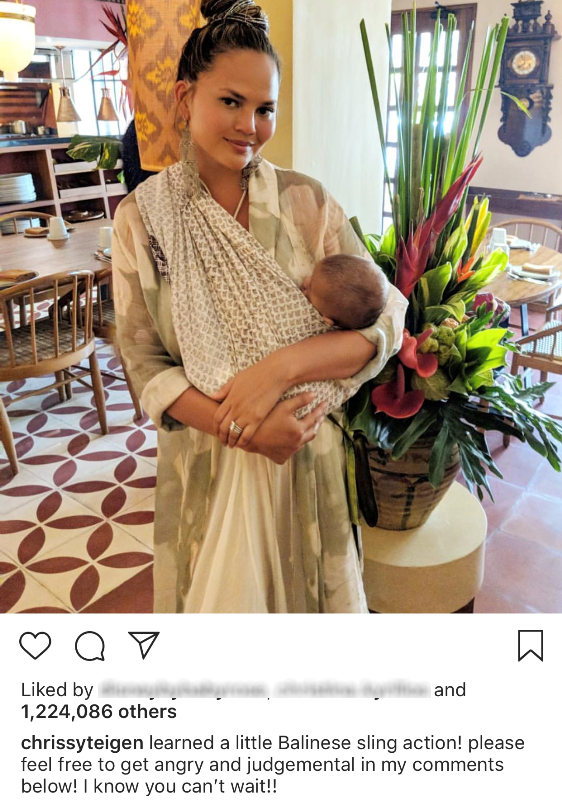 What other celebrities do you enjoy following on social media for their authenticity? Earlier this week, Instagram announced a new platform for long-form video, called IGTV. Let’s be real – IGTV is “Youtube for Instagram.” While Instagram has triumphed in the micro blog and short story video market, they now want to dabble in long-form polished videos. 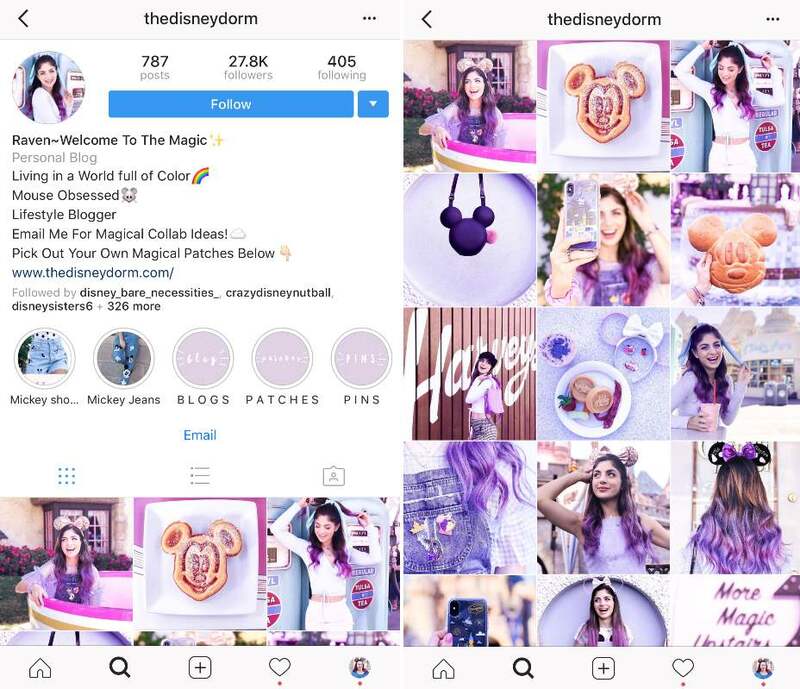 While it’s unclear how exactly Instagram will compensate creators, it’s clear they are trying to attract some of the popular YouTubers and woo them over to their platform. I’m hesitant to put a ton of effort into IGTV right off the bat, but I’m always game for trying something new. 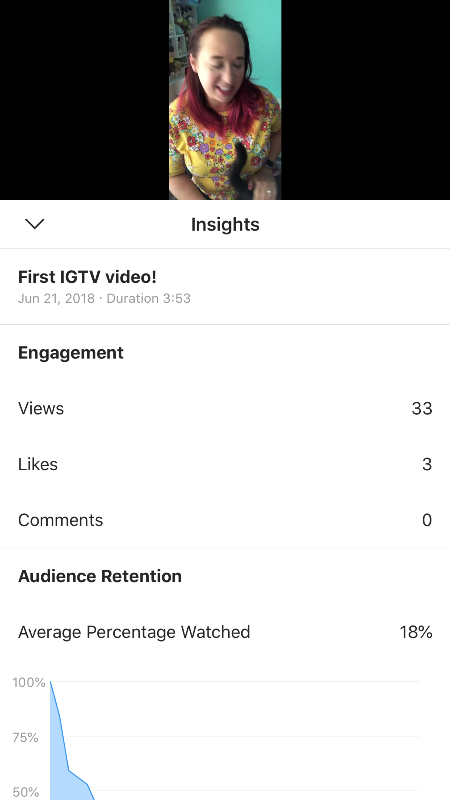 So I researched IGTV a bit and uploaded my first video today. One great thing about the IGTV platform is that it seamlessly integrates with your existing Instagram account. No creating a new account and securing your user name, no setting up a new profile, no building a new following, etc. 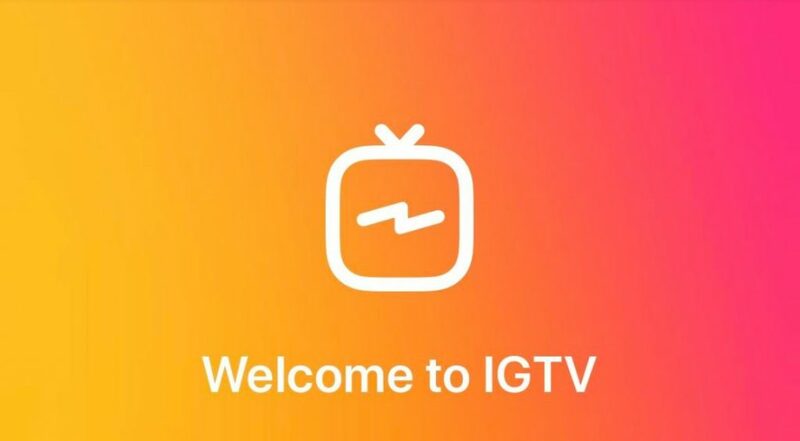 You just connect your existing account with IGTV and start uploading. 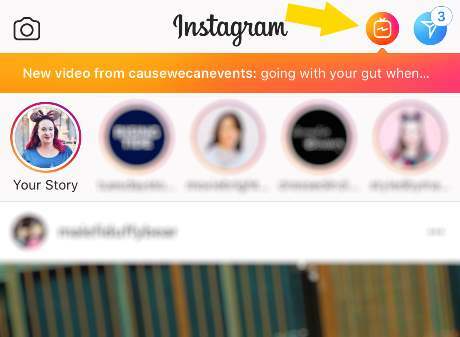 Plus your IGTV channel will show up on your regular Instagram profile. And while I’m not sure the world needs yet another social media platform, I’ve enjoyed the majority of the content I’ve seen on IGTV so far. It will be interesting to see how it all plays out. – Make sure your Instagram app is up to date. You can also download the IGTV stand-alone app from the App Store or Google Play. 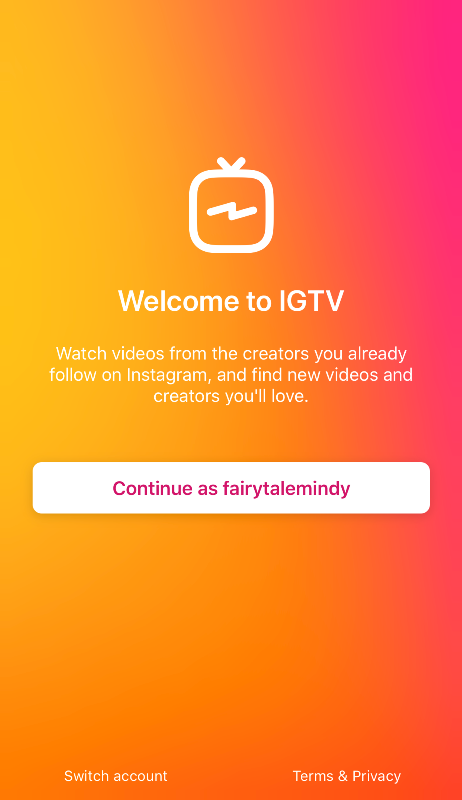 – Connect your Instagram account to IGTV (if you have multiple accounts, you will have to select the one you want to use to get started, and you can switch between accounts later). 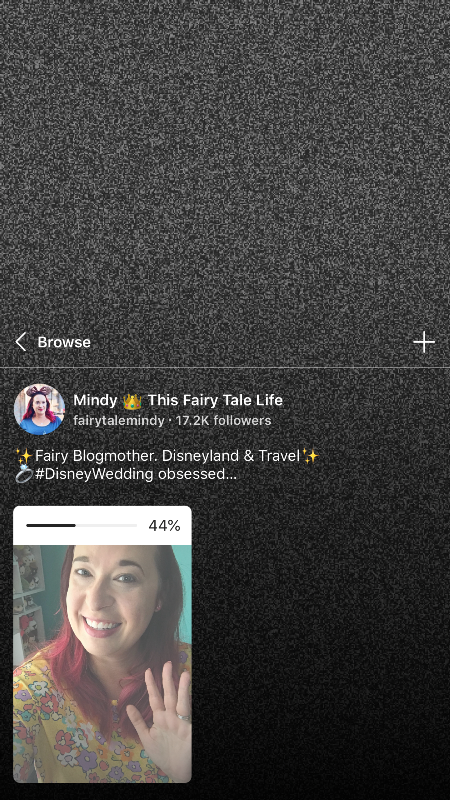 – In the IGTV app, new videos will show up in the lower portion of the screen, and you can scroll through them. You can select from For You, Following, Popular, or Continue Watching. 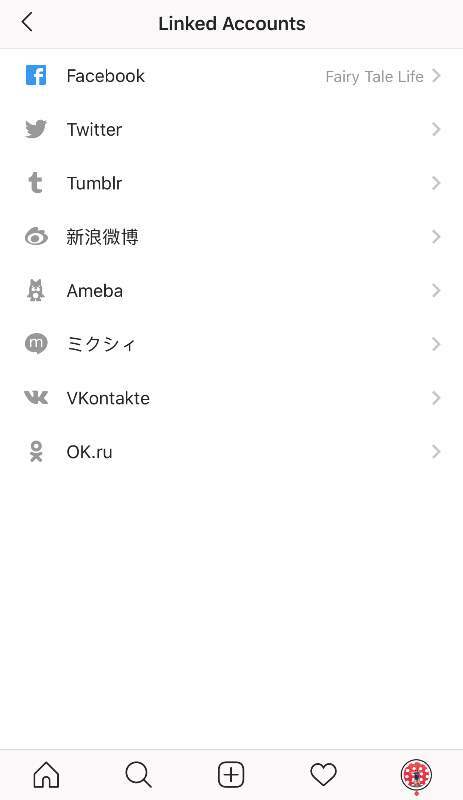 Tap on a video to watch it, then tap “browse” to go back to browsing. You can like/heart and leave comments on IGTV videos, just like regular Instagram. – IGTV notifications will start popping up on your regular Instagram app, in the upper right side or on account profiles. Tap to watch within the regular Instagram app. 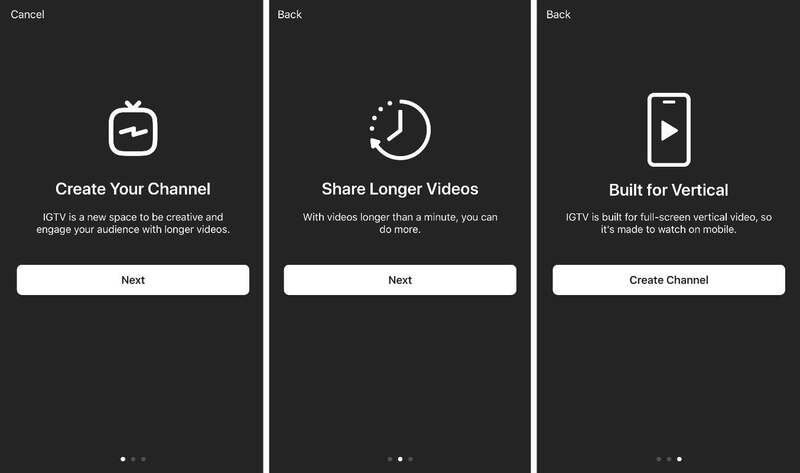 If you want to create your own IGTV video, here’s how to do it. – Use your phone to record a vertical video. Instagram is really pushing the idea of vertical videos, probably because A) people are already used to watching vertical videos in Instagram Stories, and B) it sets them apart from YouTube. – Edit the video on your phone. You can trim, add text, add graphics, add music, etc … or don’t do any edits at all. Note videos have to be between 15 seconds and 5 minutes long (although I’m seeing some “bigger” accounts have videos that are longer than 5 minutes). – Upload the video to IGTV. 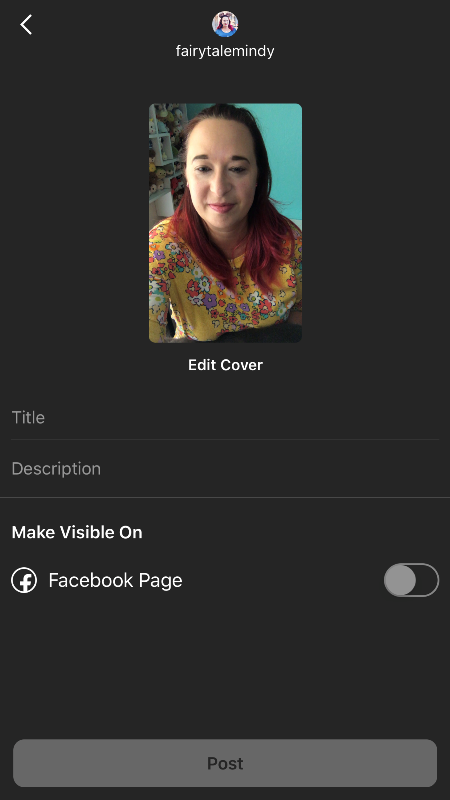 You can give your video a title, description, and edit the cover. I like to take a separate photo for the cover, since it’s hard to take a screenshot of a video and have it look good. 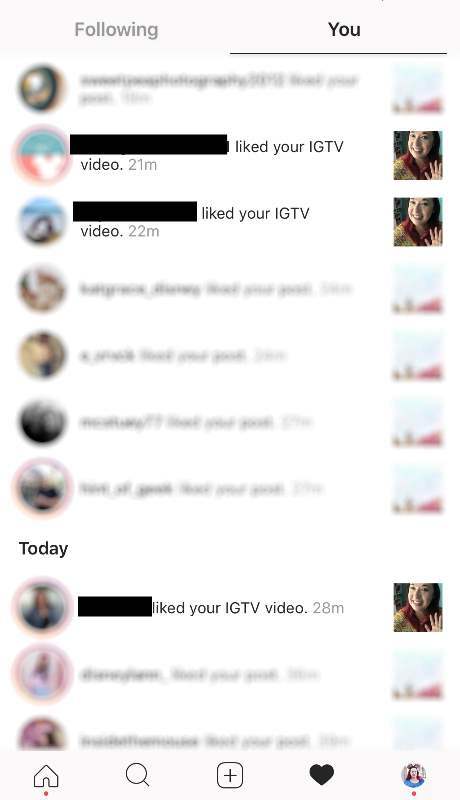 – Once your video is live on IGTV, likes and comments will show up in your regular Instagram notification feed. Or you can check likes/comments by swiping up on your video on IGTV. What types of videos can you upload? – Remember videos can be anywhere between 15 seconds and 5 minutes, so you can easily record a quick video of just about anything. So far I’ve seen videos of babies being adorable, pets being adorable, food being prepared, makeup tutorials, and of course, videos from Disneyland. I’ve seen long unedited videos, and videos of a bunch of short videos and pictures (like a slideshow). Remember to stay on brand but get creative with what you can create! – I decided to do an introduction video, which I felt was a good idea since this video will live on my IGTV forever. So if the platform takes off and I gain a kajillion followers, my introduction video will always be useful. 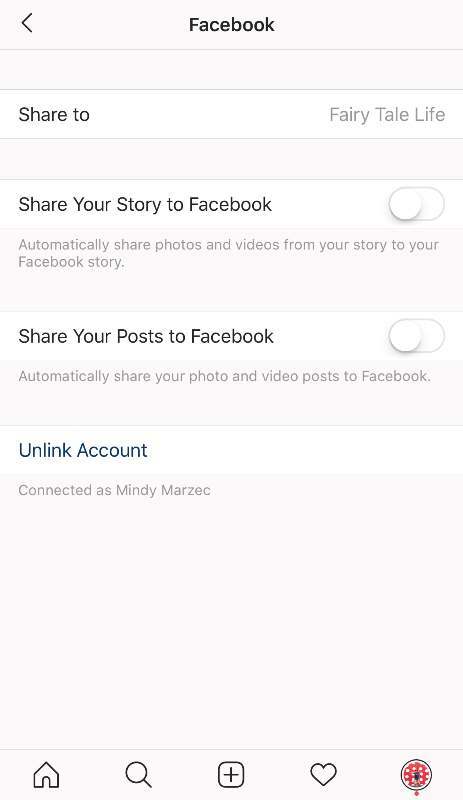 – I’ve been seeing a lot of users upload their Instagram Stories saved all together as a video (reference my article on Instagram Stories if you’re not sure how to do that). 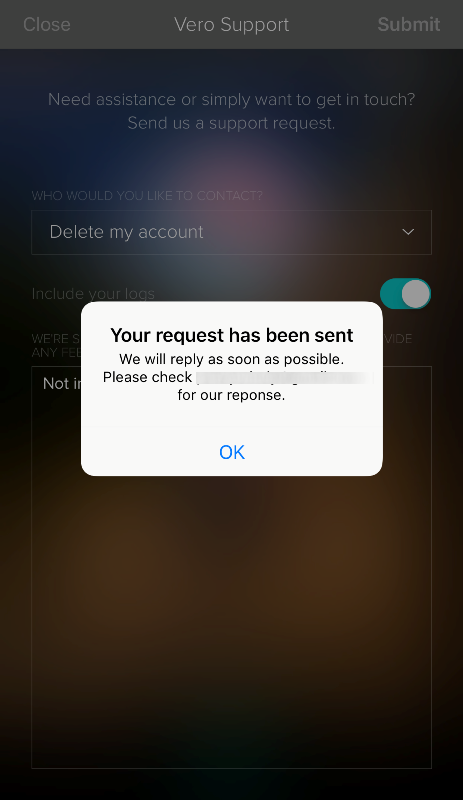 While this is an easy way to get a video up on IGTV, I hope this doesn’t become common. 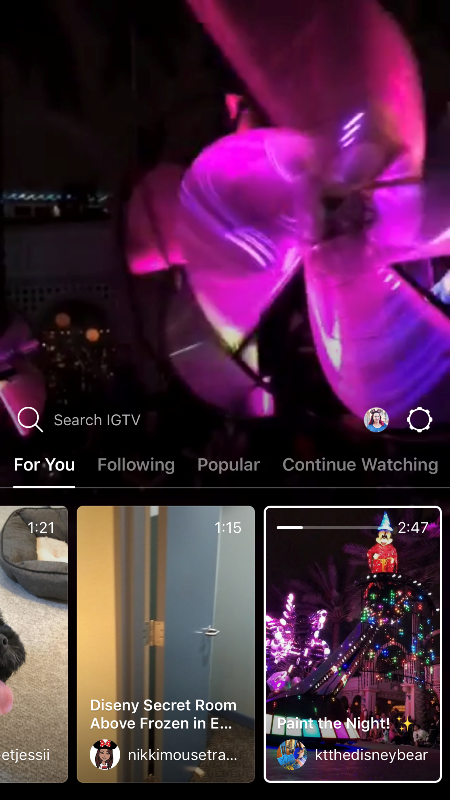 Ideally IGTV will be a place to share unique videos that aren’t shared elsewhere. I hope this helps you understand this new platform a little easier! 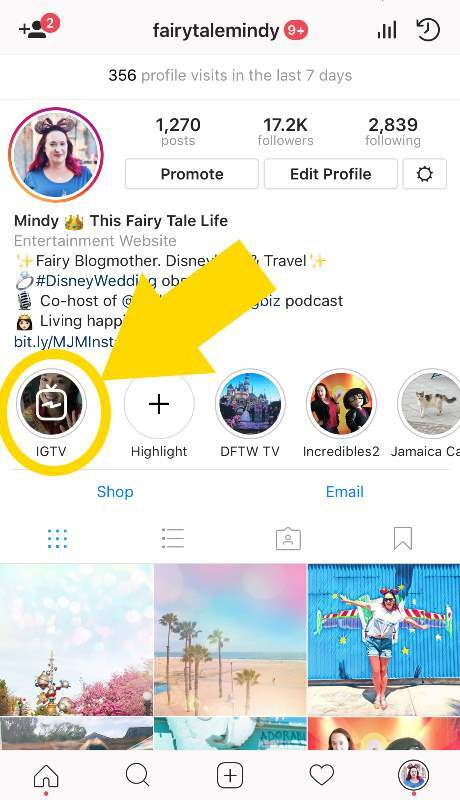 I’d love to check out your IGTV channels so be sure to hit me up on Instagram at @fairytalemindy and tag me. 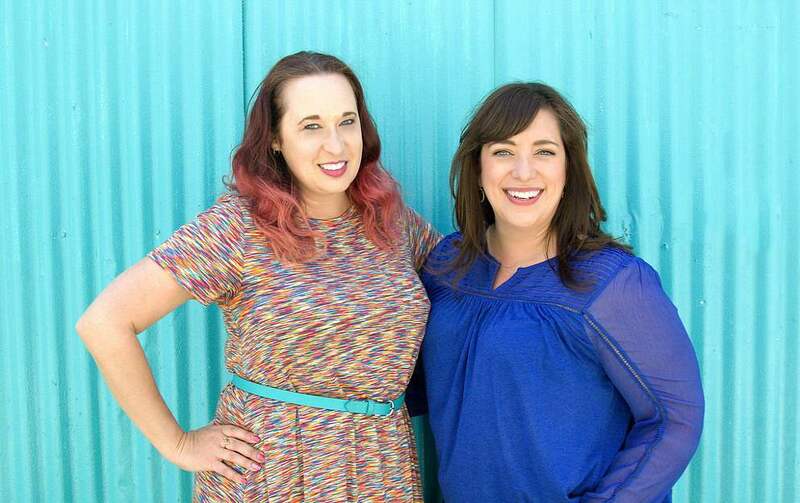 My Newest Venture: Rock Your Wedding Biz Podcast! Like, the biggest news ever! 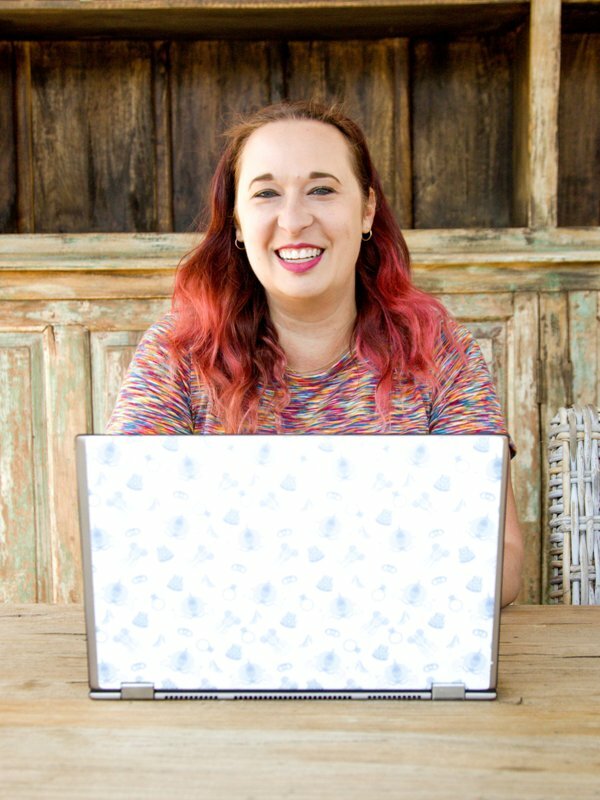 I’ve started a brand new podcast – Rock Your Wedding Biz – with my friend Renee of Moxie Bright Events, dishing about all things important in the wedding industry. 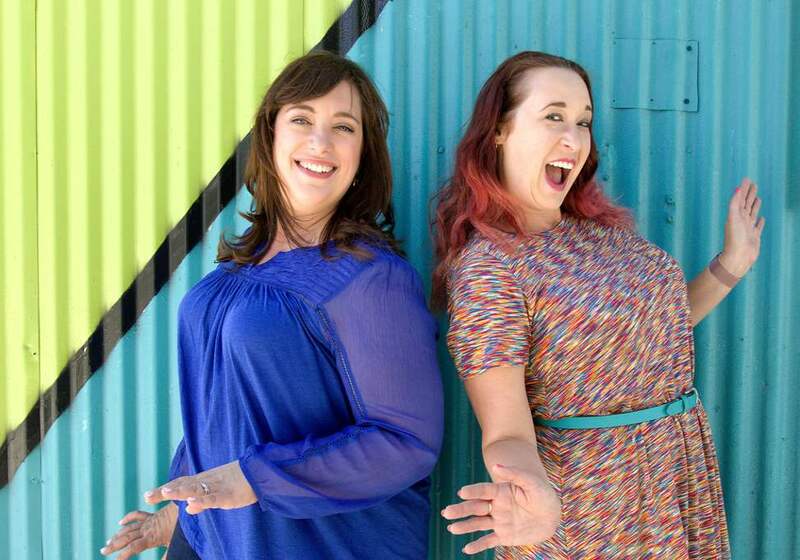 Renee and I have been friends for years and I’ve always been in awe of her business savvy. She has been a huge factor in me starting and growing my own businesses, and she’s always been there to provide unending support. One day Renee were having a “business brunch” (aka drinking mimosas) and I thought … we should do a podcast together. Well, the path was a little rockier than that. Learning to podcast is like learning a new language! (Shout out to Pat Flynn for the great FREE tutorial!) So with a little research, and trial and error, our first three episodes are done and LIVE! You can listen to the first three episodes on iTunes and Google Play (more platforms coming soon). Our goal is to have a new episode up every Wednesday morning. Please follow us on Instagram at @rockyourweddingbiz or join our email list to stay up-to-date with our new business venture. We really want to hear from you; let us know what wedding industry topics you want us to cover during a future podcast episode! This whole process has been exciting and nerve-wracking and exhilarating and terrifying, but overall I’m so thrilled with what we are creating. I hope you enjoy it as well! Yesterday’s announcement regarding the shuttering of popular wedding blog Style Me Pretty sent shock waves through the community. 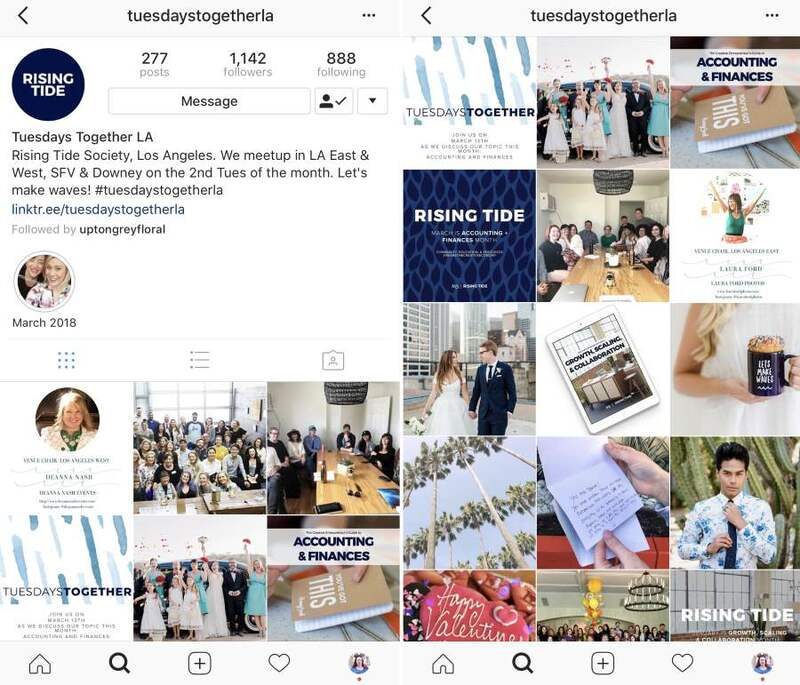 Many wedding pros saw Style Me Pretty as the gold standard of wedding marketing and often made it a career goal to be featured. The hysteria seems to be even worse the next day. 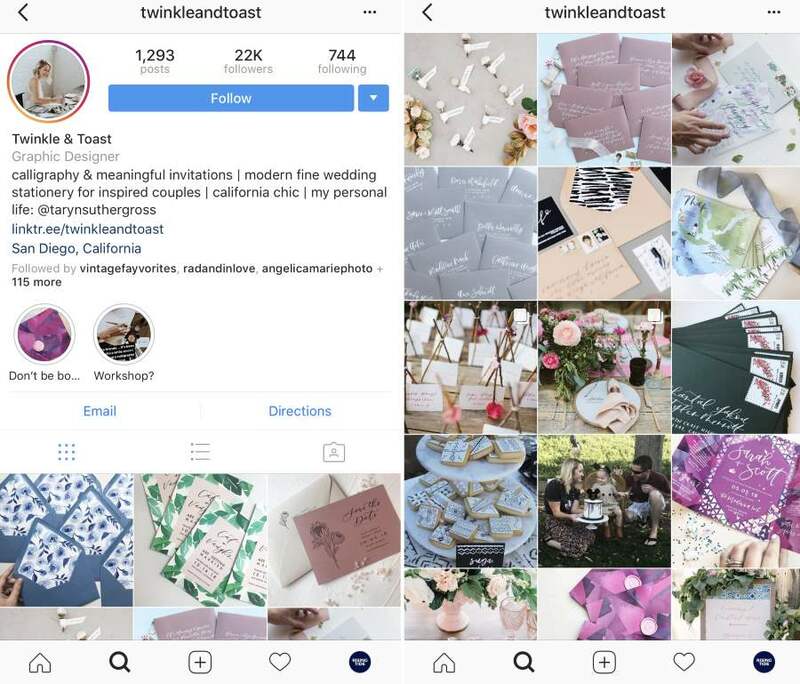 Some of my wedding blogger friends are getting messages from worried vendors on their preferred list – Are you closing too? And wedding vendors are wondering if it’s worth their time to submit their work to blogs going forward. Or maybe blogs will start charging vendors for features so they can stay afloat. After all, if Style Me Pretty can shut down and disappear, what’s to stop that from happening to other blogs? I totally understand the frustration, and I hope I can address (and calm) some of those concerns here. The situation with Style Me Pretty is a complicated and unique one. While we can only speculate as to the exact reason for its closure, it’s important to remember Style Me Pretty started as a small wedding blog created and edited by one person, but most recently was sold and became a tiny part of a much larger corporation (Verizon/AOL). While Style Me Pretty may be “huge” to us, it perhaps wasn’t making enough profit (or any profit) for the parent company to see it as something worth keeping around. If I had to make an educated guess, Style Me Pretty‘s demise was the result of corporate restructuring. It’s important to remember most wedding blogs are not like this. Most blogs are run by one person or a small team. Blog owners are often easily approachable and accessible. If you have a question or concern about a blog you love, just send an email and talk to them! Don’t make assumptions and don’t freak out over rumors and gossip. This is also a chance to step back and take a look at your marketing strategies and your goals. 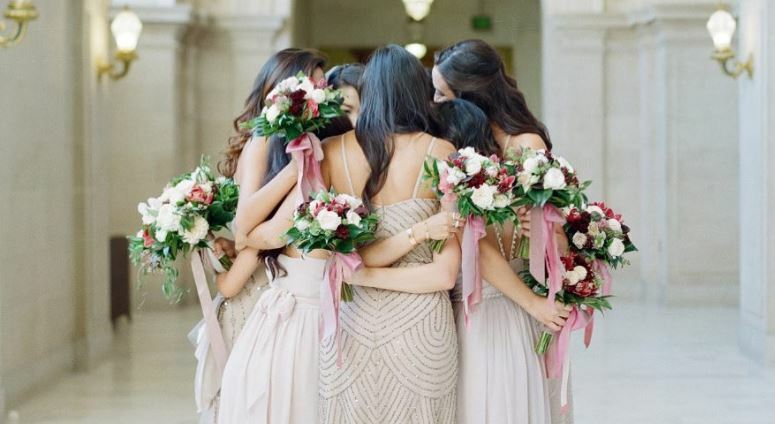 Many wedding pros (and many brides) made it their life’s mission to be featured on Style Me Pretty. It’s fine to have goals, but be sure your business and marketing does not revolve around one singular goal or platform. Any vendor who put all of their eggs in the Style Me Pretty basket is in a world of hurt right now. As a blogger myself, it frustrates me when I hear people say phrases like, “blogging is dead,” or “nobody is reading blogs anymore.” I can see by my analytics this is simply not true. It’s a shame Style Me Pretty is going away, but blogging is certainly a booming industry and there are plenty of blogs out there just waiting to feature you. So is wedding blogging dead? No, but it’s certainly evolving and unpredictable, and it’s safe to assume your favorite blog probably won’t last forever. The situation with Style Me Pretty is yet another reminder that we are all responsible for our own marketing and we can’t solely rely on third party platforms to carry our business. 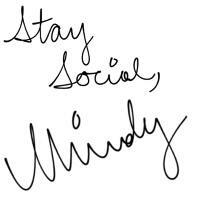 Maintain your own social channels. Maintain your own email list. 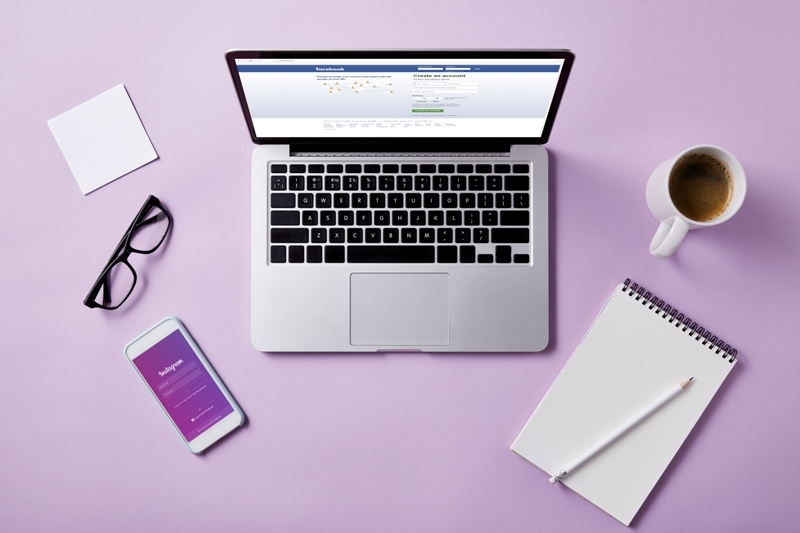 Social media and blogs are wonderful marketing tools, and the closure of Style Me Pretty shouldn’t stop wedding pros from investing in these tools. As long as it’s just a slice of your marketing strategy pie. How many times have you heard this: You need an email list for your business. Well, it’s true … you do! Social media followers are great, but hopefully you’re collecting their email addresses as well. That way if something ever happens to your social media accounts, you have a way to reach your fans. If you’ve been putting off starting an email newsletter because you don’t know where to begin, I’m here to help! Yes, maintaining an email newsletter is yet another thing to add to the to-do list. But the most important step is to get started with a way to capture and collect those emails. And that’s exactly what we are going to cover today! 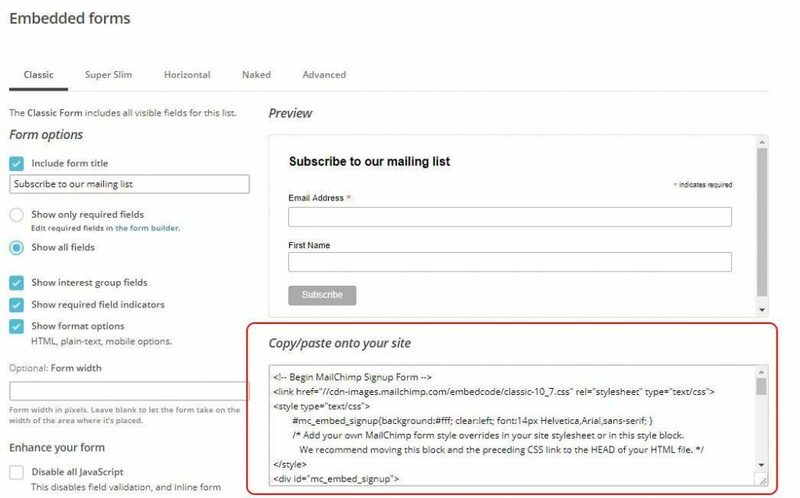 For this tutorial, I will be using an email service called MailChimp. MailChimp offers a free plan up to 2000 followers, so it’s perfect for anyone who is just getting started. If you want a more robust email experience and you are willing to pay, I recommend the paid version of MailChimp or Convertkit. But for this tutorial I will be using MailChimp. Sign up for a paid account with MailChimp and get a $30 credit on your account! 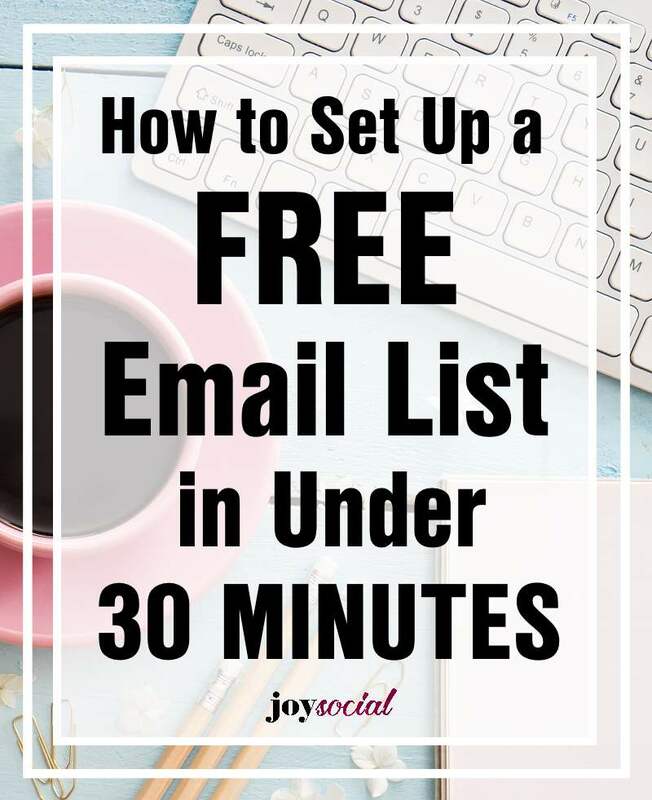 If you’ve got 30 minutes, you can do this first step for creating an email list and start collecting those email addresses! Follow this guide and it won’t be difficult at all, I promise. You are receiving this email because you opted in for the YOUR BUSINESS NAME newsletter. Make sure your contact information is correct. You need a valid address for the U.S. CAN-SPAM Act. It can be a physical address such as where you live or conduct business, or a PO Box. You cannot make up an address. This is very important. Next you’ll see a section about double opt-in. I recommend turning this on. 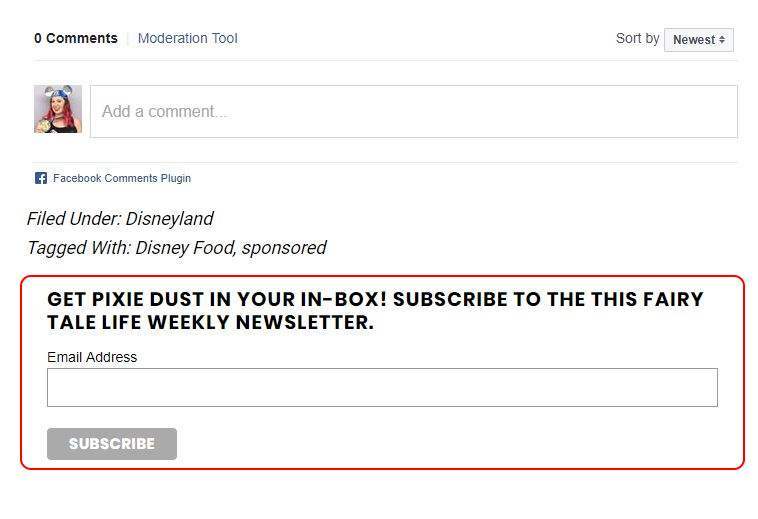 This means new subscribers will receive an email asking them to click a link to confirm this subscription. It helps eliminate bots and spammers, so I see it as a good thing. 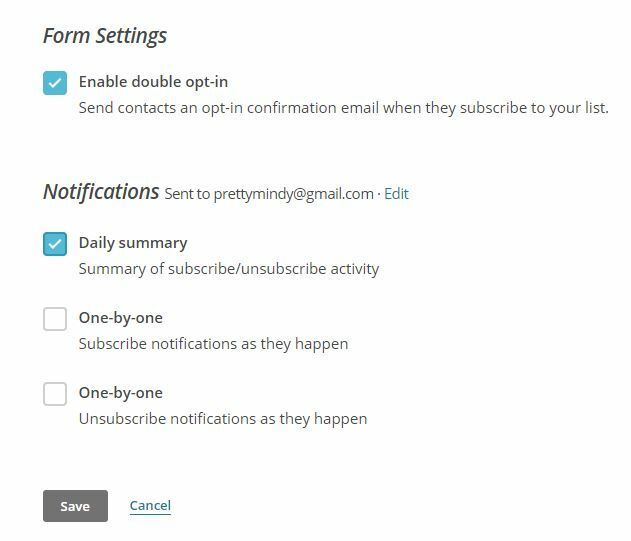 Then select your email list notification options. 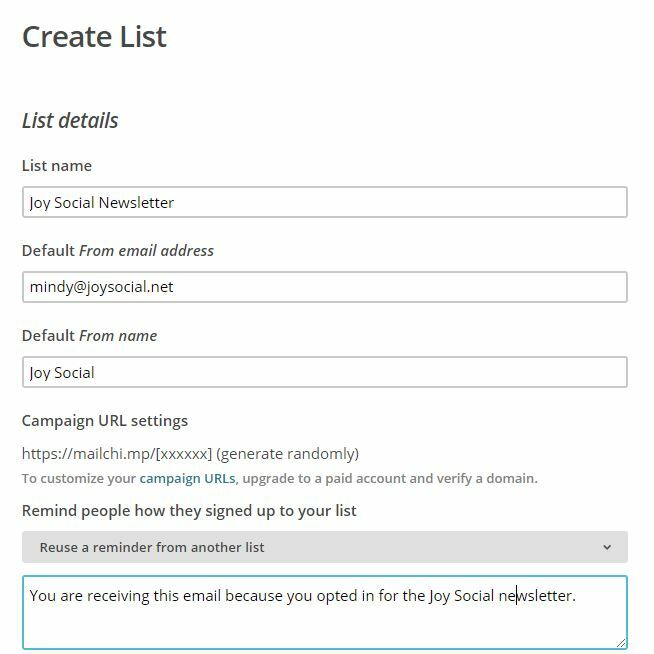 This is to control the emails YOU get as people subscribe (or sadly unsubscribe) to your email list. I recommend the first option, which is a daily summary. Step 5 – This page is a little busy but don’t worry, we will get through it! 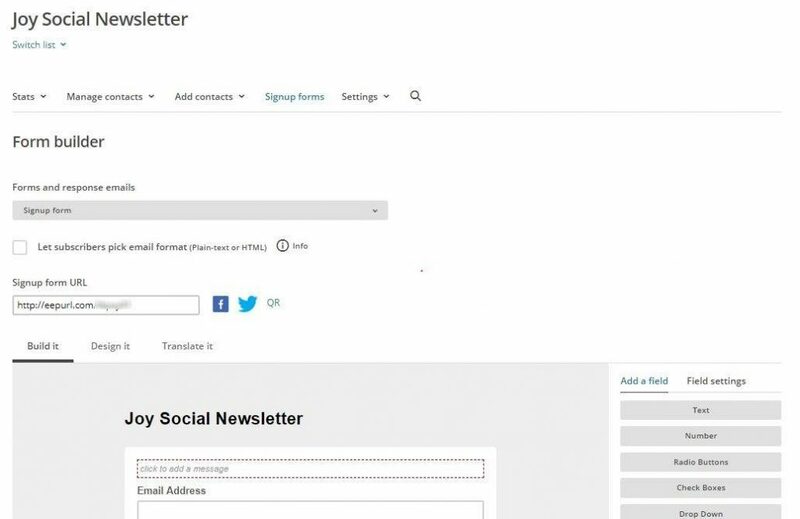 The default screen is “signup form” under the “Forms and response emails” dropdown. Leave it like that. The default signup form is very robust. It asks for a lot of things, like email, name, address, and phone number. I don’t think you need all that! I recommend only asking for email and first name. In order to remove the Last Name, Address, and Phone number section. Simply click on that area on the form. 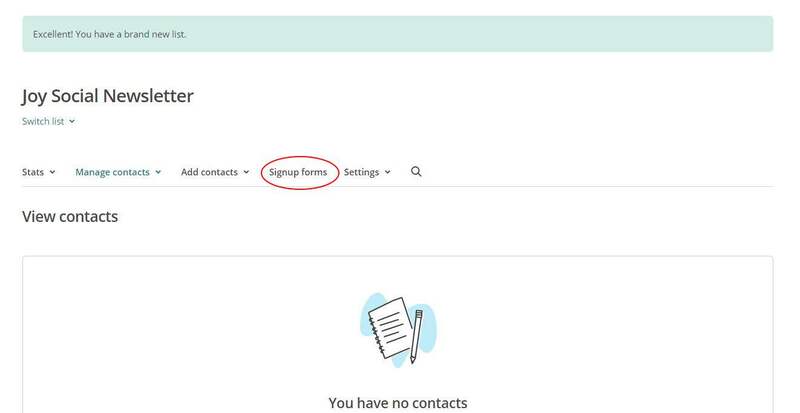 The toolbar to the right of the form will change, and at the very bottom you will see “Delete.” Click on that to remove the field. (It will ask you to confirm by typing DELETE into a field. Go ahead and do that.) Do this for the Last Name, Address, and Phone Number field, until you only have the Email Address and First Name fields left. You don’t have to “save” anything – it saves by default. Your signup form page is complete! 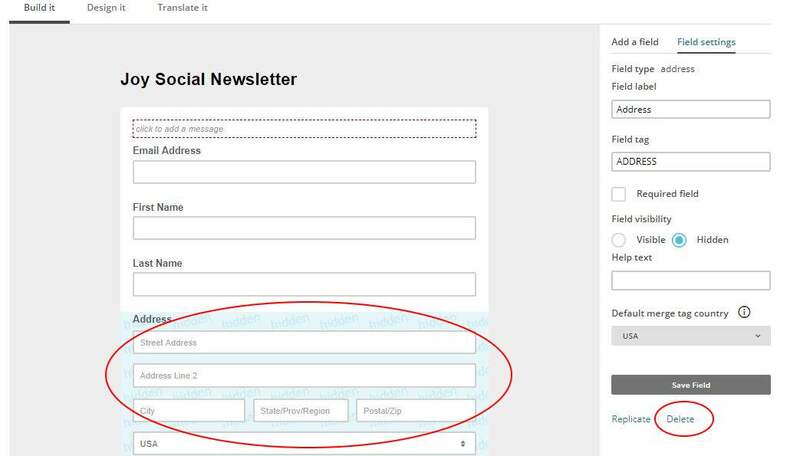 Now let’s assume you want to put this form somewhere on your website, like in the sidebar or below your blog posts, or in the footer. I’ll get you started, and if you’re not familiar with how your website works you may have to contact your webmaster for help. Step 7 – Under the “Preview” section, you can see the beautiful signup form you just created! Isn’t it so lovely? This is how it will look when embedded into your website. 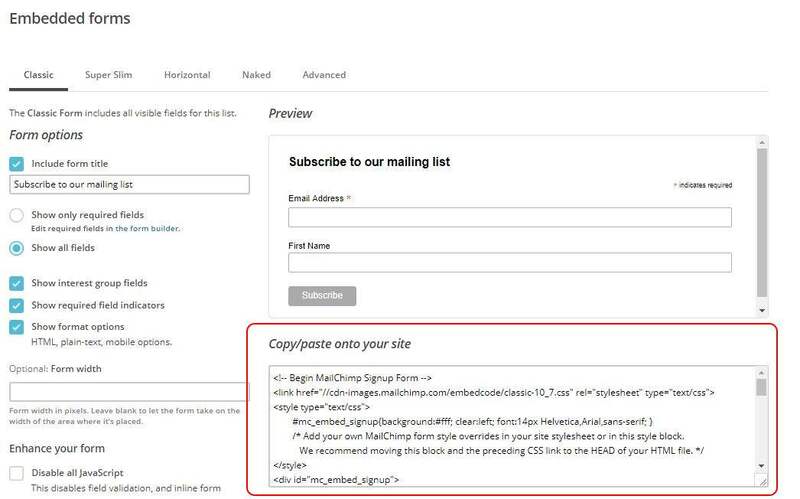 Just copy/paste the code at the bottom and place it into the backend of your website in the desired spot. For me, I have a WordPress blog with the Genesis theme, and I used the Simple Hooks plugin to add the code so it shows up at the bottom of every blog post. You can see how it looks below. If this is gobbledy-gook to you, you may have to reach out to your webmaster for some assistance. Or use Google to search how to add this code to your own website setup. Congratulations! You are now ready to collect emails for your business! How exciting! 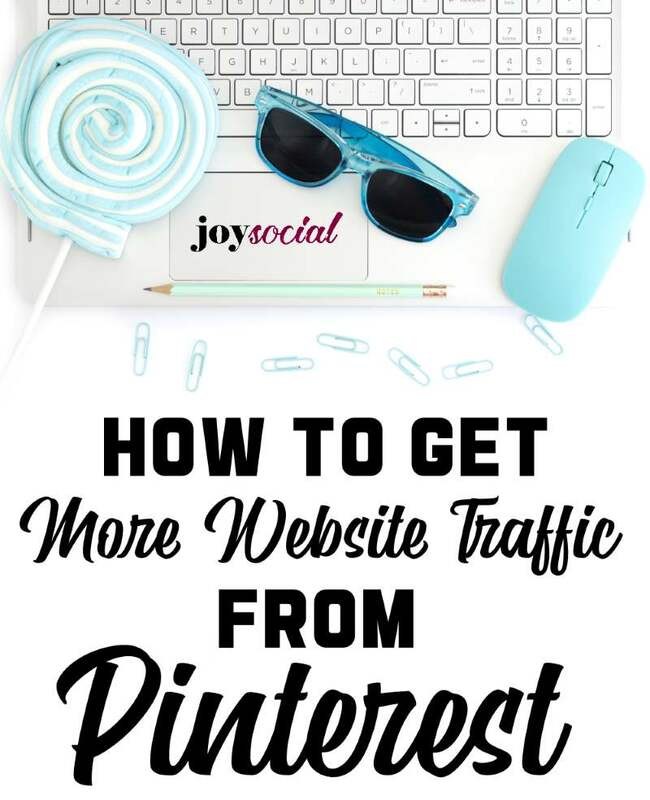 I hope this tutorial was helpful and if you have any questions, feel free to leave a comment or visit my Facebook Page – Joy Social Media Strategies. Facebook is not having a great year. First they were messing with the algorithm, leaving a lot of Facebook Page owners frustrated with lack of reach. Then news broke of a massive data breach involving Cambridge Analytica, a breach that Facebook knew about in 2015 but failed to inform its users. 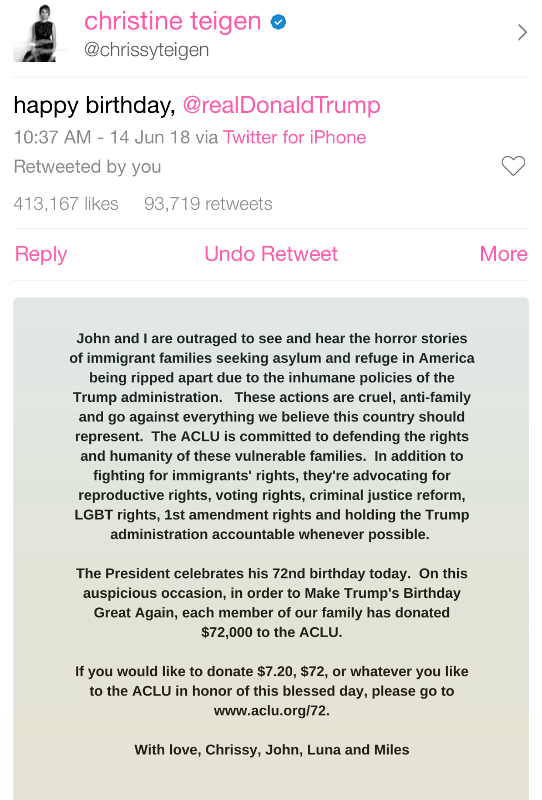 Because of this, there has been a call to #deletefacebook. Even big companies, like Tesla, have deleted their Facebook Pages – although some wonder if this was done just as a marketing ploy. Despite significant stock value drops this year, Facebook remains one of the largest companies in the world. It’s still the third most visited website in the world (Google is #1, YouTube is #2). And based on my friends feed, it doesn’t look like anyone is quitting any time soon. Facebook still remains the easiest way to get in touch with friends, catch up on the latest news, and find the cutest puppy videos. And I’ve spent the last year focusing on building and growing a few Facebook Pages that have so far proven to be algorithm-proof. And I’m not giving up on those quite yet. The truth is, ALL social media platforms are watching us. They are watching what we talk about, what we “like” and “love” and get angry about. Facebook’s goal is to keep you on Facebook, so it takes all this data and uses it to show you things it thinks you will want to see. It feeds off of your actions and mutates it – whether that’s good or bad is up to you. But it’s the way ALL social platforms work. HOWEVER, let this be a reminder that we shouldn’t be solely relying on any social media platform to grow our business. Social media platforms don’t care about your business – sorry. They care about THEIR business and growing it and making money for their shareholders. If helping give YOUR business a platform helps them grow, then so be it. But Facebook, or Instagram, or Twitter, or Pinterest … they don’t really care about making you money and growing your biz. As social media platforms grow, there will always be changes. For better or for worse. And there will always be data breaches. And sometimes things can change drastically, overnight. If Instagram went away tomorrow, do you have a way to reach all of those followers and fans you’ve collected? If this thought sent a wave of panic through your body, it may be time to make a few small business changes. Yes – use Instagram & Facebook & Pinterest to market your business. BUT ALSO be sure you’re blogging and maintaining an email list. These are two things that YOU have control over. Social media platforms come and go. They are great marketing tools as long as we are willing to ride the ever shifting tide that comes along with them. But email is forever and no matter what happens on social, you’ll be able to reach your fans via email. If you are collecting them. How many times have you opened your Instagram app and just stared at your phone, because you know you’re supposed to be posting something but you just have no clue what to post? 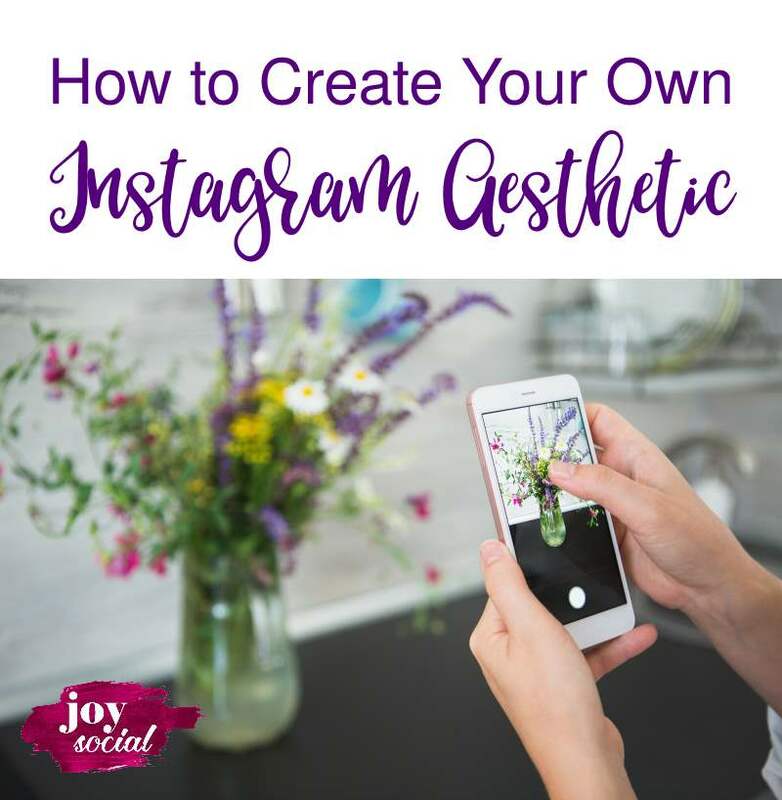 If you struggle with Instagram you may want to consider creating your very own Instagram aesthetic. Instagram is a visual platform, and creating a style and pattern for your photos is not only beneficial for attracting new followers, but it will make your life easier as well! The main trick is to not only make sure your individual photos look good on their own, but they look good within your grid as well. And of course, be consistent. Once you establish an aesthetic, don’t stray from it! Here are 3 ideas for creating your Instagram aesthetic that won’t be too difficult to follow at all – I promise! 1) Focus on a color. One way to keep your grid consistent is to only post photos that reflect a certain color. I’m actually doing this right now on the Tuesdays Together Los Angeles account. I’m trying to focus on photos with blue in them. But from time to time a photo pops up that doesn’t fit with my blue aesthetic, and that’s okay! I think the blue effect still comes across. DoleWhipDani takes this up a notch by creating a beautiful rainbow spectrum on her grid. This takes some serious dedication but the results are beautiful! You can also use filters to give your photo a color tint. TheDisneyDorm does a great job of this. She gives all of her photos a purple wash and it’s beautiful! You can do this with an app like A Color Story or VSCO. 2) Focus on the grid. 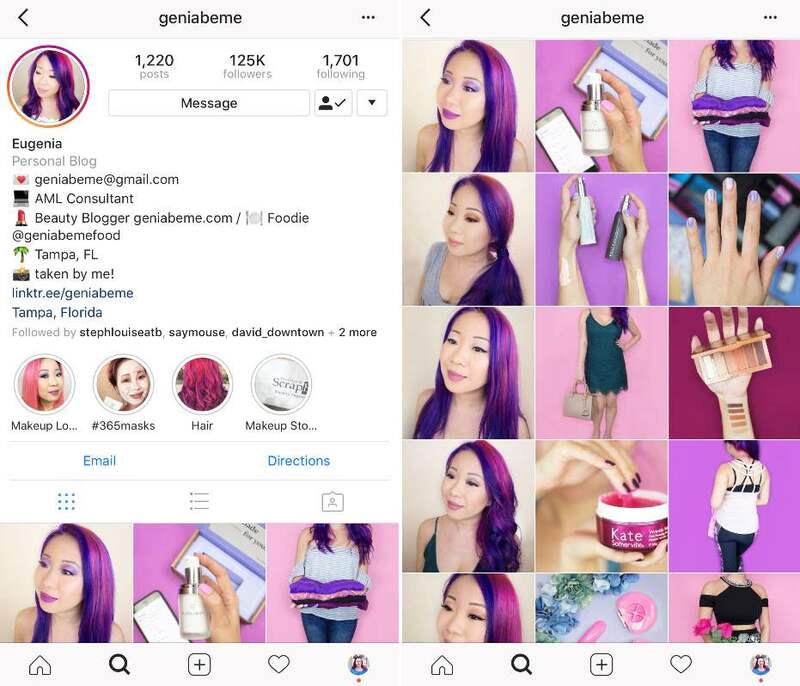 My friend Geniabeme, a beauty blogger, does an amazing job with her grid. She will post two beautiful, bright product and fashion photos, and the third photo will be a selfie showing off a new makeup look. Another use of the grid that I love is posting a row of similar photos. 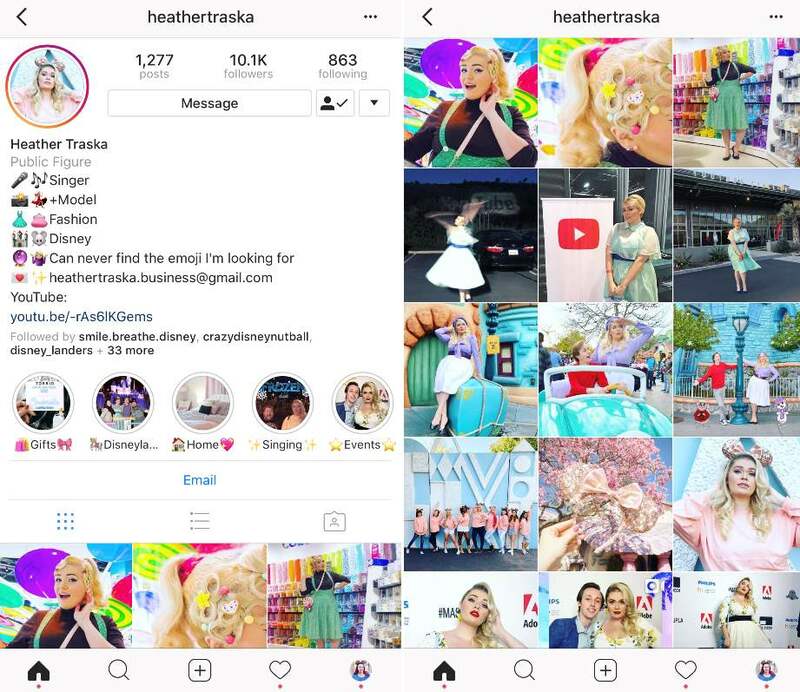 HeatherTraska posts three photos in a row from one event, so her outfit is the same, the lighting is the same, and the visual aesthetic is the same. This keeps her grid looking consistent! 3) Focus on a niche. My final suggestion is to pick a niche and run with it. 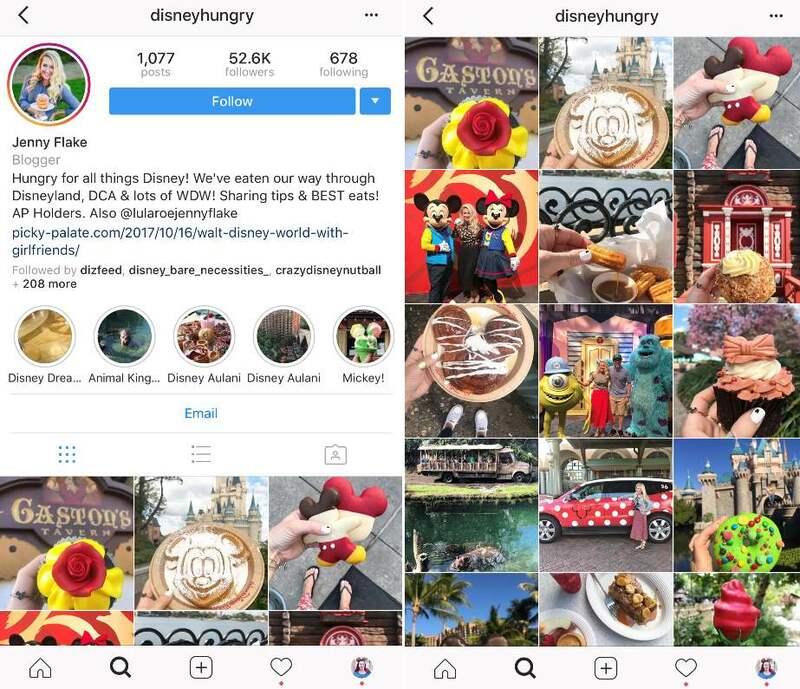 With an account name like DisneyHungry, what would you expect to see …. Disney food, right? DisneyHungry shares beautiful close-up photos of foods you can only find at the Disney parks. Every now and then she will post a photo of herself at Disney, too. This is perfect! 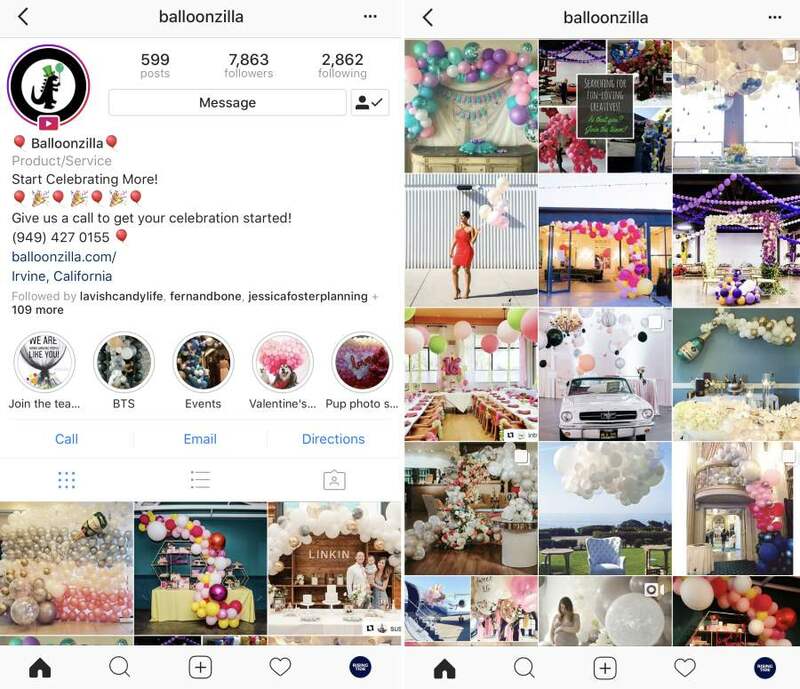 Balloonzilla creates epic balloon arrangements for events and guess what … her feed is FULL of balloons! Just balloons. If you have a special skill, show it off. TwinkleAndToast does beautiful calligraphy and stationery and that’s all she features on her feed (with the occasional personal post). Want to make sure your photos are going to flow together? Use a planning app like Planoly or A Color Story to organize your grid and make sure all your photos compliment each other. 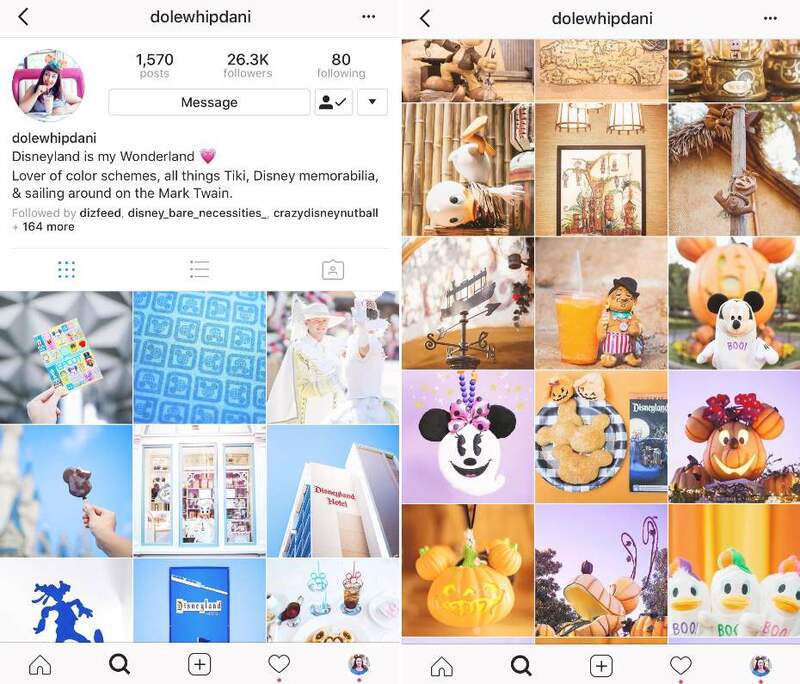 Remember, no matter what aesthetic or style you choose, the key to Instagram success is consistency! So once you settle on a style that works for you, stick with it and make sure you’re posting on a regular basis. 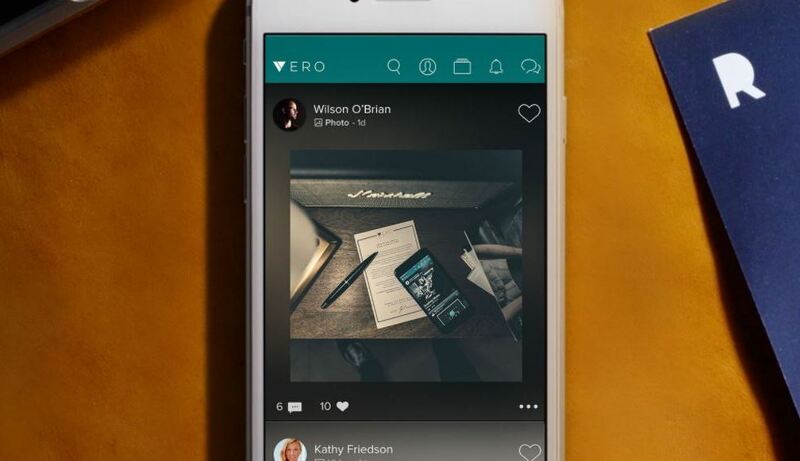 What is Vero and Should You Join It? In the last couple of weeks, a new social media platform has burst onto the scene. 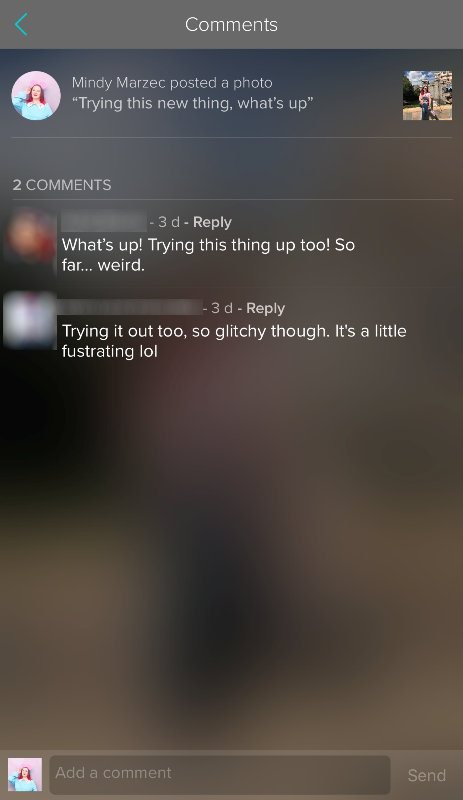 It seems like everyone I knew was signing up for Vero, an app that promised an algorithm-free experience. Vero also promised the app would be free for the first one million people who signed up, which caused a bit of an Internet panic. Yep, I totally bought into it and I signed up for Vero. Just to grab my user name at the very least. After signing up I did poke around a bit and created my first post. I posted a screen shot of my profile page on Instagram Stories to show everyone I had joined. A few people responded that they had joined too. 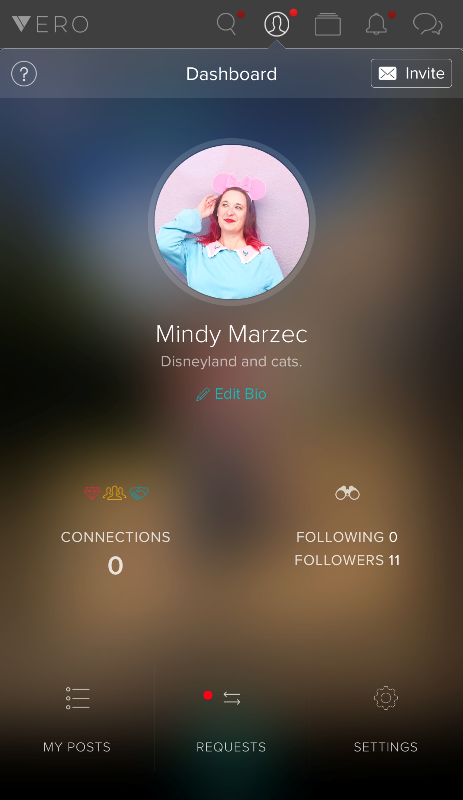 Vero seemed to appear out of nowhere but the app has actually been around for a few years, and before now had never really gained traction. Because, who really needs ANOTHER social media platform? I certainly have trouble keeping up with what’s already out there. But perhaps on the heels of Snapchat’s unpopular redesign and constant updates to Facebook’s algorithm, the platform gained strength. Whatever the reason for the sudden popularity, I don’t want to miss the boat on the next big thing so whenever there is buzz about a platform I generally will sign up, just in case. However, in this case, it seems I should have done a little more research. Literally the day after I signed up for Vero, I started seeing tweets and articles popping up about one of the creators of the app, Ayman Hariri. You can read about this further on Entrepreneur. There are other issues as well. A friend noticed that out of 23 employees on their “Team” page, there is only one woman and one person of color. This is really disappointing. It’s up to you if you want to stick around and give Vero a shot. Based on the above information, I have decided to delete my account. And if Vero turns out to be the “next big thing,” I’ll deal with that later. Turns out it’s not as simple as pressing a button and confirming you are sure. 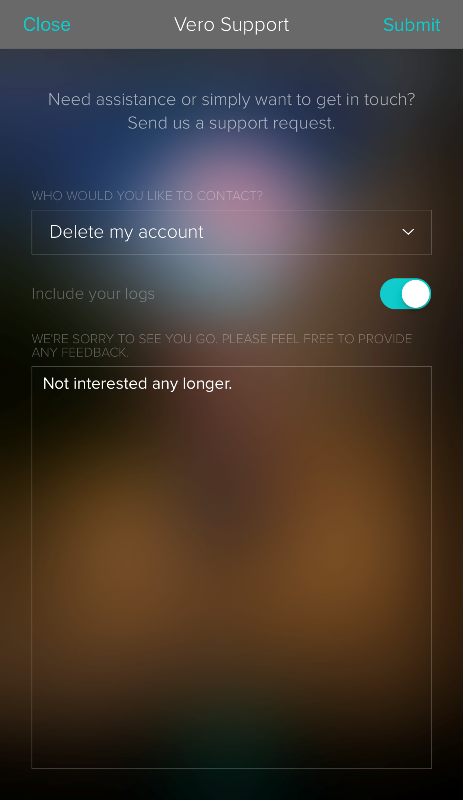 You need to submit a request to delete your account. But, it’s quick. Here’s how you do it. Go to your profile and click on the ? symbol at the top left. 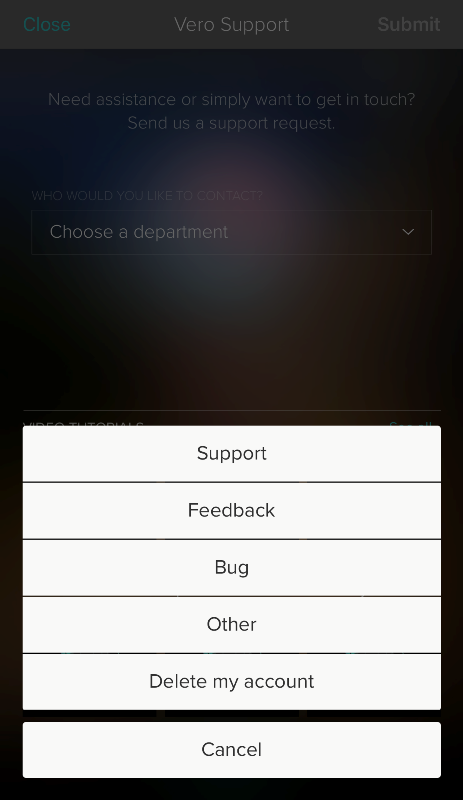 From the drop down menu select “Delete Your Account.” In the next screen you are required to type comments in the “feedback” section. I simply put I was no longer interested. Then click submit. Perhaps the Vero fiasco is just a reminder of the Universe to slow down and always do your research before jumping into something. Or that it’s okay to say “no” once in a while!